Microsoft, others build robots to fight mosquito – Royal Times of Nigeria. American technology companies including Microsoft Corp are bringing automation and robotics to the age-old task of battling mosquitoes in a bid to halt the spread of Zika and other mosquito-borne maladies worldwide. Public health experts said on Tuesday that the firms including Microsoft Corp and California Life Sciences Company are already forming partnerships with public health officials in several U.S. states to test new high-tech tools. In Texas, Microsoft is testing a smart trap to isolate and capture Aedes aegypti mosquitoes, known as Zika carriers, for study by entomologists to give them a jump on predicting outbreaks. Aedes aegypti mosquitoes are yellow fever mosquitoes that can spread dengue fever including Zika. The Alphabet’s life sciences division based in Mountain View, California, is speeding the process for creating sterile male mosquitoes to mate with females in the wild, offering a form of birth control for the species. According to the experts, it may take years for these advances to become widely available. Public health experts said that new players bring fresh thinking to vector control, which still relies heavily on traditional defenses such as larvicides and insecticides. “It’s exciting when technology companies come on board. “Their approach to a biological challenge is to engineer a solution,” Anandasankar Ray, an associate professor of entomology at the University of California, Riverside said. While cases there have slowed markedly, mosquitoes capable of carrying the virus Aedes aegypti and Aedes albopictus are spreading in the Americas, including large swaths of the southern U.S. The vast majority of the 5,365 Zika cases reported in the U.S. so far are from travelers who contracted the virus elsewhere. Still, two states in the U.S. which are Texas and Florida have recorded cases transmitted by local mosquitoes, making them prime testing grounds for new technology. Texas recorded six cases of local mosquito transmission of Zika in November and December of last year. Experts believe that the actual number is likely higher because most infected people do not develop symptoms. Pregnant women are at high risk because they can pass the virus to their fetuses, resulting in a variety of birth defects. Those include microcephaly, a condition in which infants are born with undersized skulls and brains. The World Health Organisation declared Zika a global health emergency in February 2016. Most conventional mosquito traps capture all comers’ moths, flies, and other mosquito varieties leaving a pile of specimens for entomologists to sort through. The Microsoft machines differentiate insects by measuring a feature unique to each species, the shadows cast by their beating wings. When a trap detects an Aedes aegypti in one of its 64 chambers, the door slams shut. The machine “makes a decision about whether to trap it,” said Ethan Jackson, a Microsoft engineer who is developing the device. The machines also record shadows made by other insects as well as environmental conditions such as temperature and humidity. The data can be used to build models to predict where and when mosquitoes are active. Mustapha Debboun, Director of Harris County’s mosquito and vector control division, said the traps save time and give researchers more insight into mosquito behavior. “For science and research, this is a dream come true,” he said. The traps are prototypes now. However, Microsoft’s Jackson said the company eventually hopes to sell them for a few hundred dollars each, roughly the price of conventional traps. The goal is to spur wide adoption, particularly in developing countries, to detect potential epidemics before they start. “What we hope is (the traps) will allow us to bring more precision to public health,” Jackson said. Other companies are developing technology to shrink mosquito populations by rendering male Aedes aegypti mosquitoes sterile. When these sterile males mate with females in the wild, their eggs do not hatch. The strategy offers an alternative to chemical pesticides and it requires the release of millions of laboratory-bred mosquitoes into the outdoors. Males don’t bite, which has made this an easier sell to places now hosting tests. Oxitec, an Oxford, England-based division of Germantown, Maryland-based Intrexon Corp, is creating male mosquitoes genetically modified to be sterile. It has already deployed them in Brazil, and is seeking regulatory approval for tests in Florida and Texas. MosquitoMate Inc, a startup formed by researchers at the University of Kentucky, is using a naturally occurring bacterium called Wolbachia to render male mosquitoes sterile. One of the biggest challenges is sorting the sexes. At Mosquito Mate’s labs in Lexington, immature mosquitoes are forced through a sieve-like mechanism that separates the smaller males from the females. These mosquitoes are then hand sorted to weed out any stray females that slip through. “That’s basically done using eyeballs,” Stephen Dobson, MosquitoMate’s chief executive said. Mosquito Mate has teamed up to test their technology in Fresno, California, where Aedes aegypti arrived in 2013. Officials worry that residents who contract Zika elsewhere could spread it in Fresno if they’re bitten by local mosquitoes that could pass the virus to others. 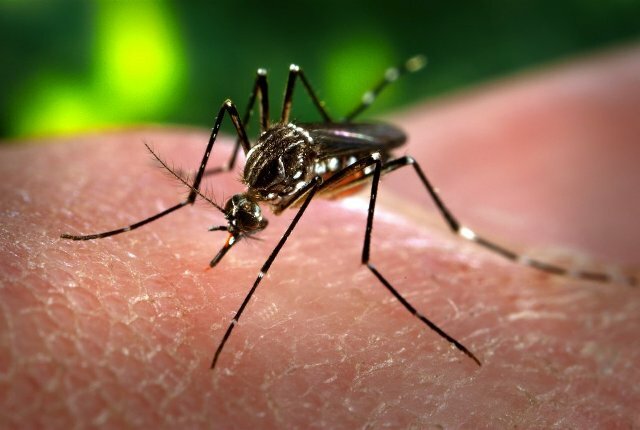 “That is very much of a concern because it is the primary vector for diseases such as dengue, chikungunya and obviously Zika,” Steve Mulligan, Manager of the Consolidated Mosquito Abatement District in Fresno County said.